Approximate location of Sunday's stabbing. A 21-year-old man is in serious condition after being stabbed during a fight near the Lincoln Avenue bar strip in Lincoln Park early Sunday, police said. No one is in custody. 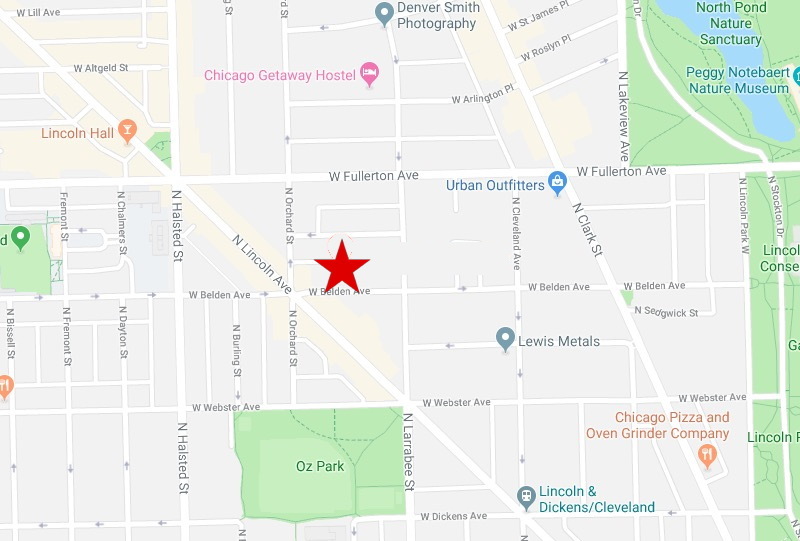 Around 2:45 a.m., witnesses reported seeing a group of five people fighting in the 600 block of West Belden Avenue near Lincoln. The victim was trying to break up the fight when a man stabbed him in his left ribcage and on the right side of his chest, according to police. The offender was described as a bald Hispanic man who was wearing a purple suit and a black tie. An ambulance transported the stabbing victim to Advocate Illinois Masonic Medical Center. Two other people were treated at the scene for injuries suffered in the fight. Support CWB's reporting team and we'll reward you with members-only reports and services all year long. Join HERE for just $49 a year or $5 a month.